Windproof, water-repellent and breathable fleece-lined softshell jacket. Product features: Front zip fastening with fold-over, 2 front pockets with zip fastening, 1 sleeve pocket with zip fastening, Smartphone pocket inside, Width-adjustable cuffs, Adjustable hem. 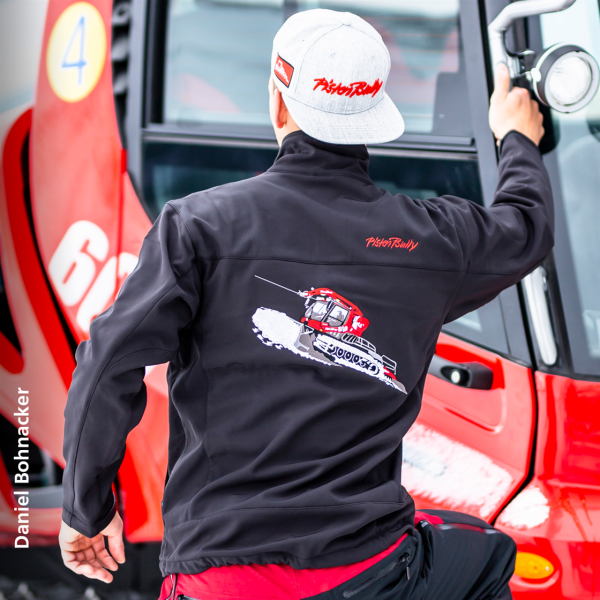 The jacket is embroidered on the chest with the PistenBully lettering and on the back likewise with the PistenBully logo and PistenBully 600 W motif. The size L and XL are temporarily out of stock.